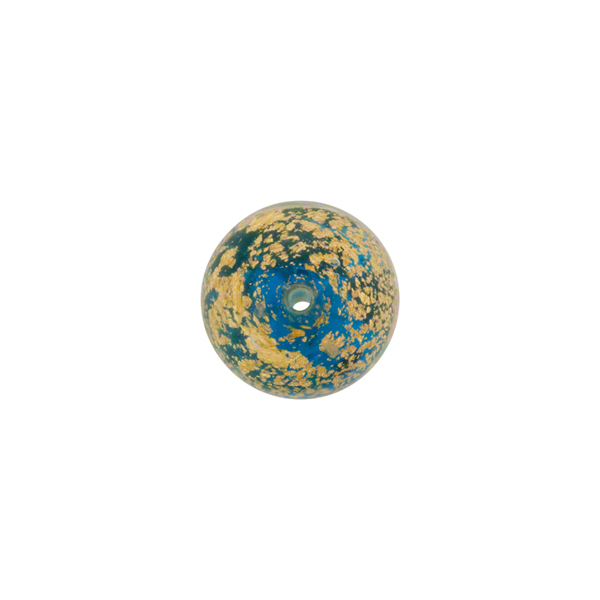 This is a 10mm round Authentic Murano Glass bead with a 1mm hole which runs through the center. The style is known as Ca'd'Oro or crackle bead as the 24kt gold foil becomes crackled in the production. 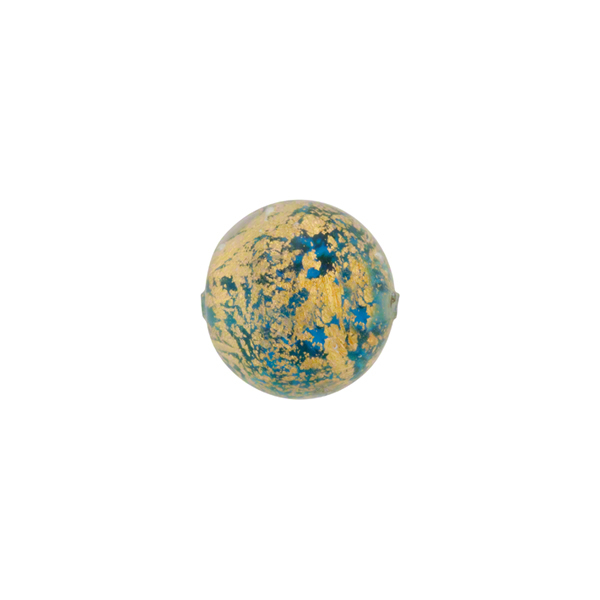 The base is a transparent Aqua Murano glass wrapped in 24kt gold foil and then completely encased in clear Murano Glass.